Although you’ve seen the reef before, after the sun has set you drop into a whole new world and watch it come to life under the glow of your dive light. Introduce yourself to the variety of creatures that comes out after the sun goes down. 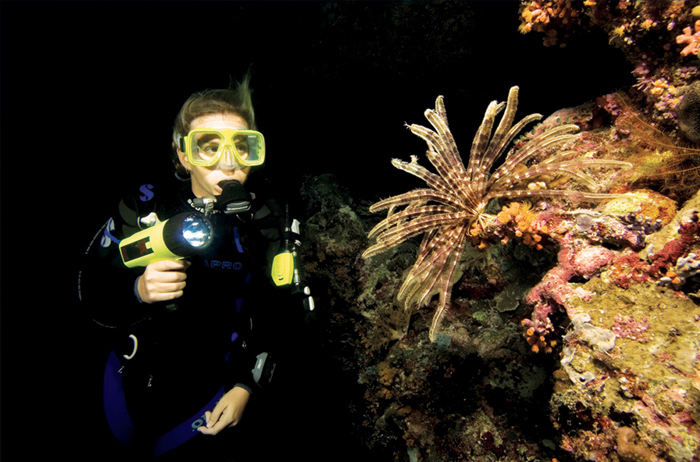 See your favourite dive sites from a new perspective at night.